Eliminate scuff marks and make your Stingray Corvette look immaculate year round when you order our easy to install Door Guards with "Stingray" Lettering. Made from 304 stainless steel in a brushed finish, these door guards will add style and last the life of your American sports car. Each piece is made by hand in the USA. 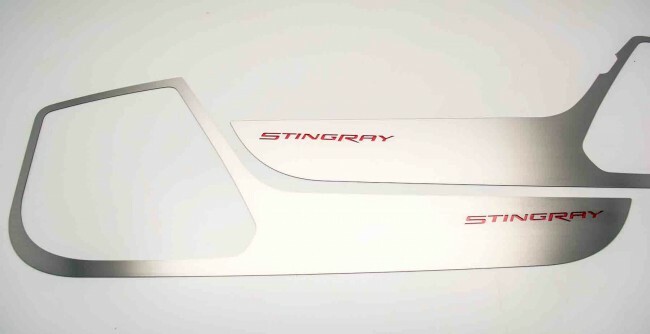 Fits all 2014 Corvette Stingrays. Expected to arrive after Christmas.